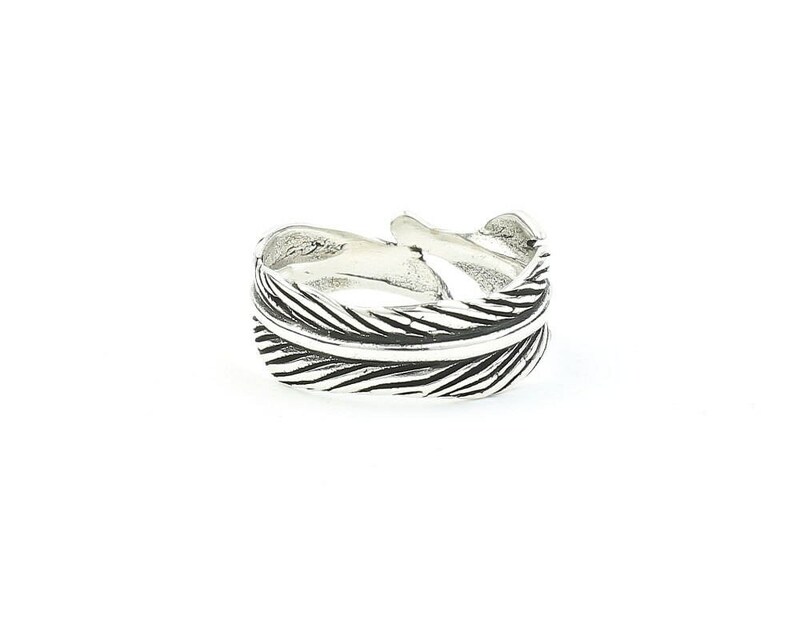 A single silver feather wraps the finger. Feathers are very uplifting; symbolizing freedom, hope, and magic. The dark patina finish accentuates all the small details of this piece. 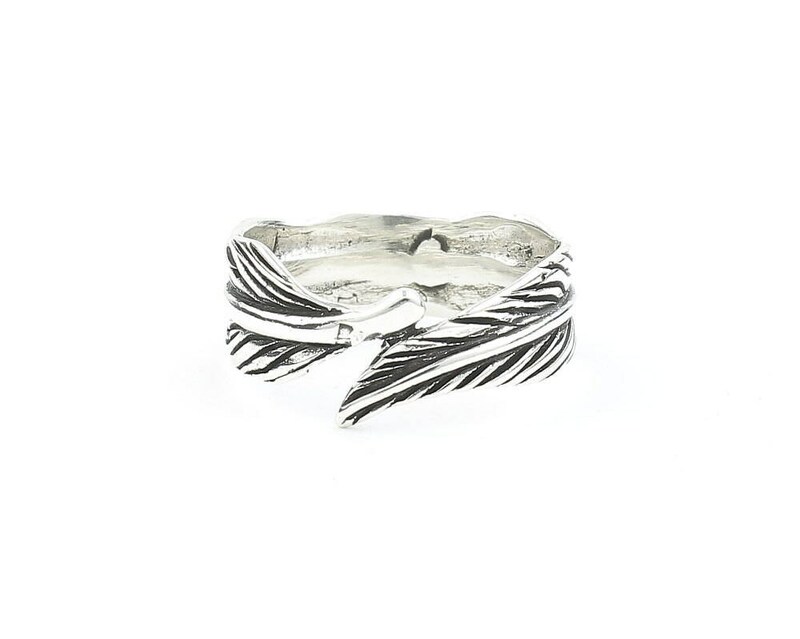 Perfect piece for stacking and pairing with other rings.